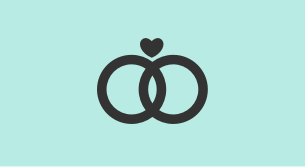 Once you've agreed your venue, and made your booking, your first official step on the path to a civil partnership is giving notice at your local registrar office. By law both of you must attend this appointment in person. Please note that you can't give notice of your civil partnership without your venue being booked beforehand. The statutory fee for giving notice of a civil partnership is £35 per person, or £47 per person if one or both of you are subject to immigration control. If either of you are under 18 years old, we'll need your parents' or guardian’s consent to the civil partnership.